No point today except April Foolery. 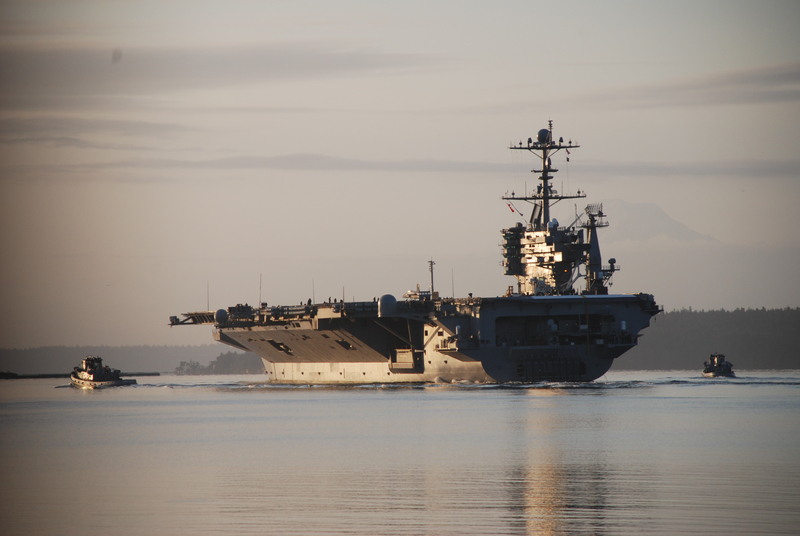 I didn’t take any of these pictures–they came to me in a much-circulated e-mail. If a picture is worth a thousand words, you can consider your writing done for the day. My kitchen was boring. This house is all about the view outside, but still. Off-white formica and linoleum squares were starting to get really depressing. Then the garbage disposal broke and I thought…I never liked that sink. And while I was at it, I hated the countertops, the cooktop, the backsplash and the floor. Time for a makeover! Time to go green! My habit of watching “Living with Ed,” the Ed Begley show about going green, finally made sense. I ordered bamboo floors, Vetrazzo countertops (in Hollywood sage, just like the ones in Ed’s house; they’re made of recycled Coke bottles) and stainless steel tile. Oh, and something called a magnetic induction cooktop which looks like a flat sheet of black glass. Check it out! NOW we’re cooking! But still, I spend most of my time looking out the window…. 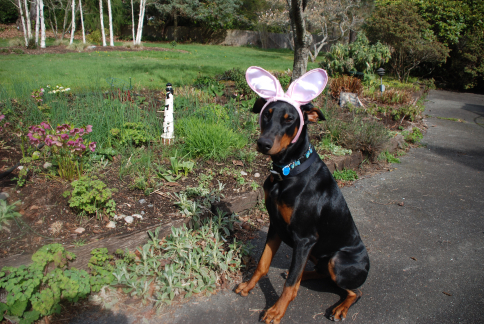 It’s the Easter-dobe, Charlie Brown! 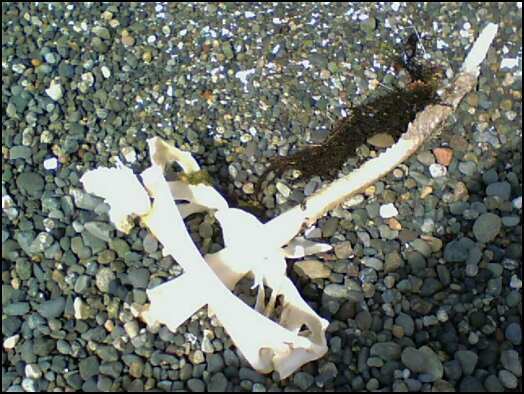 So…..On our beach walk today, Barkis homed right in on these skeletons. They’re 3-4 feet long. NO CLUE what they are. I call them Thing One and Thing Two. Anyone? 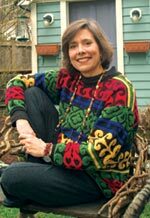 Seattle author Stephanie Kallos is a born storyteller. After all, she grew up in a place where sofas fly–Nebraska’s “tornado alley.” She’s also been an actress, a teacher and a nominee for both a Raymond Carver Award and a Pushcart Prize for her short fiction. Her incredibly charming first novel, BROKEN FOR YOU, was a selection of the Today Show book club, propelling her onto bestseller lists and into book clubs nationwide. Other honors ensued, making this novel one of the most auspicious debuts in publishing–A Book Sense Selection, a Library Journal Best First Novelist of 2005, winner of a 2005 Pacific Northwest Bookseller Association Award and a Quill Book Award finalist for Debut Author of the Year. So while her talent is not in doubt, none of that tells you how funny and down-to-earth she is. For that, you have to visit her web site and read her bio. Or better yet, meet her in person at the Field’s End Writer’s Conference on Saturday, April 26. Like most every writer you’ll meet, Stephanie is a lifelong library patron. “I remember the first library my mother took me to in Lincoln, Nebraska–which is where we moved when I was five. It was only a couple of blocks from my father’s office and we would walk there after visiting him. 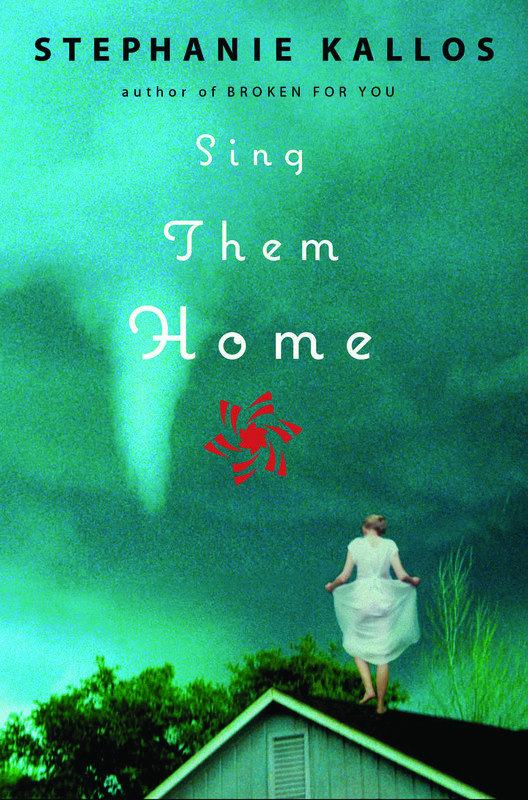 Regarding that new novel, it’s called SING THEM HOME and is slated for publication from Grove later this year. Stephanie’s working title on the book–for years–was HOPE’S WHEELCHAIR. “My publisher hated that title,” she admits. “In retrospect, I can understand why. Bit of a downer.” Ultimately, her editor’s assistant came up with the final title. For a long time, Stephanie believed it would be her first novel. The germ of the idea originated with a 1974 National Geographic photo. “Until I was five, we lived in a very small town in southeastern Nebraska in that swath of territory known as ‘tornado alley.’ My mother’s best friend, Hope, lived on a farm a few miles outside of town. In one of those examples of random tornadic behavior, a funnel cloud bypassed the farmhouse across the highway and then drove northeast directly into Hope’s farmhouse, destroying it completely. Hope was home (she suffered from MS and was confined to a wheelchair) along with her youngest child. She was badly hurt, but the baby was found wandering the fields, wearing a diaper, slightly scratched but otherwise unharmed. “The photo – which was taken in a milo field about four miles away, near Blue Springs – shows a farmer leaning over the remains of Hope’s grand piano. It’s the only thing that came down in any kind of recognizable form. My mother used to say, ‘How can a deep freeze just disappear? How can a refrigerator just disappear?’ This is the kind of magic one lives with in tornado alley. I heard one author describe magical realism as ‘sofas that fly.’ In Nebraska, sofas fly all the time. “The story centers on three siblings – Larken, Gaelan, and Bonnie Jones – who grew up in a fictional town in SE Nebraska called Emlyn Springs. When they were 13, 12, and 7 years old, their mother Hope was carried up in a tornado and never came down. 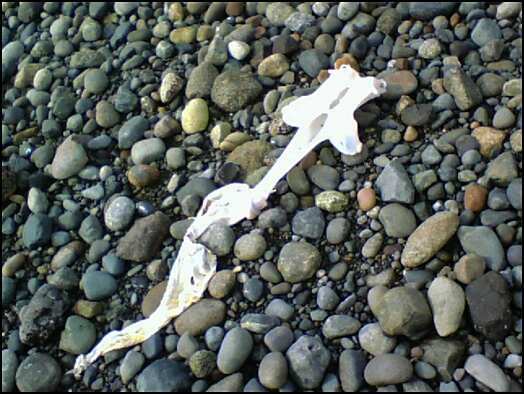 It’s about the special kind of grief that surrounds such a loss (i.e., one which leaves no gift of bones) and how that grief has resonated throughout their lives and informed their identities. 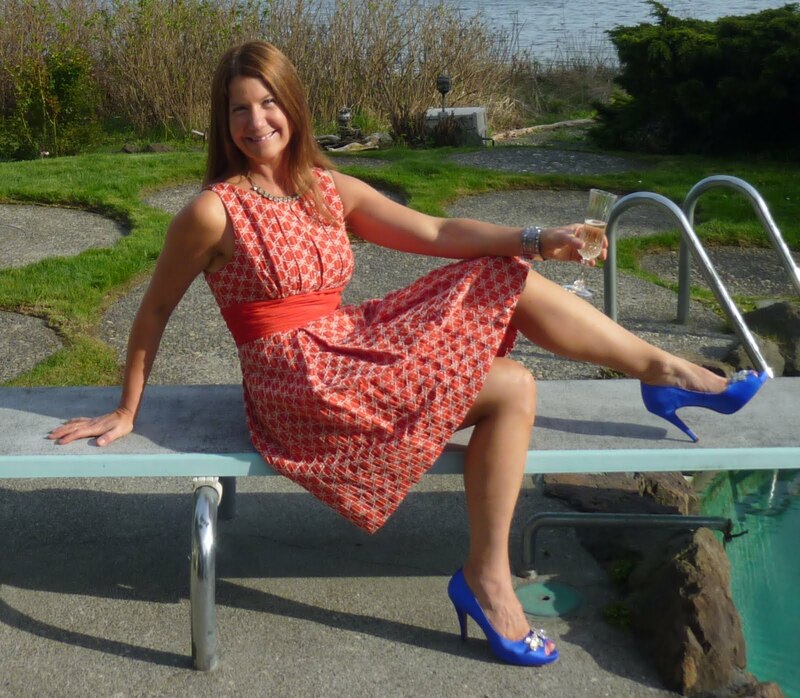 Stephanie is a working mother, and juggles family and writing with grace and a writer’s eccentricity. “There are times when I’m at my desk from 9 until 4, a schedule which aligns with when my kids get on and off the bus. There are other days when family obligations mean I can only squeeze in some journal-writing, or tinker with a paragraph, a sentence, the placement of a semi-colon. I do tend to get very grumpy if I don’t set aside time to write at least a little bit every day. Stephanie is an avid and eclectic reader. She’s a huge fan of the Salinger oeuvre, Anne Tyler, John Irving’s A Prayer for Owen Meany, The World According to Garp, and The Cider House Rules. “My dear friend Sheri Holman writes brilliant books; I’ve learned so much from her. I’ve also learned a great deal from Myla Goldberg, Ian McEwan, A.S. Byatt. Lately – as I await feedback from my editor on the latest draft of Sing Them Home – I’ve been indulging in thrillers: Chelsea Cain’s Heartsick, and the Japanese novelists. I really like a change-up when it comes to reading. Stephanie Kallos has a lot more to share. She is this year’s opening speaker at the April 26th conference. Hey! Come to a reading by my favorite suspense author at Eagle Harbor Book Company. It’s on Thursday, March 20 at 7:30pm. Author Robert Dugoni will have you on the edge of your seat, guaranteed. News flash! Novelists on strike! Oooh, this was painfully funny, about the devastating effects of the Novelists strike. Please click this link for a beautiful slide show of the Irish countryside. And here’s a little something to read from a favorite author and friend, Malachy McCourt. And if you just don’t have enough controversy in your life, here’s a bit about the banning of “Danny Boy.” As a child, I memorized a piano piece called “Irish Derry Air” and while playing it, I was always picturing this enormous green-clad derriere.